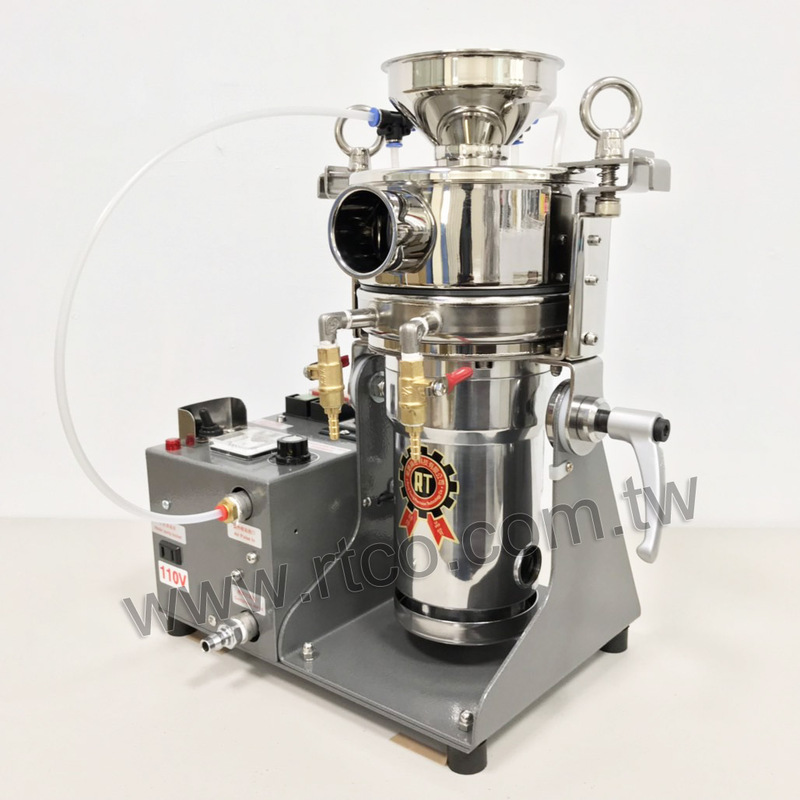 Table Type Water Cooling Air Pulse Ultra Fine Powder Pulverizing Machine(RT-UF26APW(for powder coating materials)) - Rong Tsong Precision Technology Co.
RT-UF26APW is a continuous type grinder with material input above and material output at the side. It can grind the materials up to 200-250MESH. The water jackets added to the side of the grinding trough, allowing the grinder to work with a water circulatory device, cooling down grinder's temperature while grinding. *Note: Water cooling circulation machine, Water cooling vessel, water pipe and air compressor have to be provided by the user.